Servicing and repairing all makes and models, we arrive where you want us with what we need to get the job done. 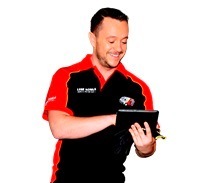 Toyota, Mazda and Holden are all attended to on site at the best time that suits the vehicle owner, not the mechanic. Cutting out the workshop saves you valuable time and money in travelling and arranging alternative transport for a schedule that fits with your mechanic. In your local area our mechanics have already completed on the spot services and repairs for Proton, Ford and Volvo. As a mobile mechanic, your specialist has what they need to complete your vehicle’s repairs and service on time. Using only quality parts like oxygen sensor, gearbox and engine mount your repairs are completed on site without the need for follow-ups or trips into the workshop at all. Keep your service history up to date on your Kia and Daewoo without the hassle of being without your car for long periods of time. Happy clients already using the benefits of a fully mobile mechanical service have offered over 24 from the Northern Suburbs Sydney region. Take advange of the 36 Lube Mobile has in your area. Have your vehicle repaired on serviced in Pymble with the least fuss and hassle. You don’t even have to leave the house if you don’t want to. We will come to your chosen location when you want us to be there and take care of everything on the spot. 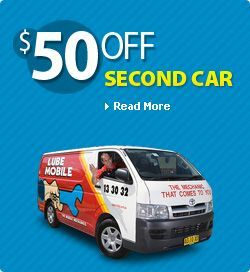 Lubemobile mechanics are Australia’s #1 mobile mechanic fleet servicing vehicles in all locations including Artarmon, West Ryde and Roseville. When your car needs to be worked on, book the mechanic who will get the job done on time, wherever you want them to carry out the work. Lubemobile mechanics have serviced over 582 vehicles in your area alone over the last 3 months, and while our most popular vehicle service in your area is typically Log book servicing, your mobile professional mechanic is able to complete a range of vehicles work including air flow meter testing , log book servicing. Our specialist tyre fleet will even carry out jobs like on site tyre replacement.